Not only do our children expect leadership. They need it. So we’re on vacation this week. All week long, the kids have been full of questions. To a certain degree, this is par for the course. Given their ages, they’re always asking all kinds of questions. But I’ve noticed that they have repeatedly been asking us about our plans: where are we going next, what are we doing tomorrow, what time will get there…you get the idea. Again, part of this is par for the course. But I can’t help but think that there’s something deeper at work here. I hear in these questions an expectation: an expectation of leadership. I think this is a point that’s easily lost on us as parents today. It’s easy nowadays to equate good parenting with worrying: Should we get immunization shots? Is he being a picky eater? Is my child being bullied? How much pressure do we put on her to get good grades? What about sports? Should we check their Halloween candy before they eat it? Parenting discourse too often digresses to a cul-de-sac of anxiety and fear — and we assume that good parenting means worrying ourselves into a frenzy over these things (and a host of others that I didn’t even mention). But what about leadership? How often is good parenting equated with leadership? Not often enough in my book. But it’s embedded right there in the questions my kids have been pestering me with all week. Our children live with an expectation of leadership, an expectation that the grown ups will set the vision and direction for the family. Look, if you’re a parent that worries endlessly over your children, I doubt there’s anything I could say that would change that. In fact, you may have plenty of good reasons for doing so. But if that’s the case, don’t forget to also set the pace of leadership for your family. I’ve found that intentional direction is one of the great counters to worry in my own life, particularly when it comes to parenting. Not only do our children expect leadership from us. Deep down, they know they need it. I’ve heard it said many times: our children have plenty of friends, but they only have one set of parents. The underlying truth of this statement seems aimed at encouraging us to readily accept our unique role as parents in the lives of our children. I love the relationship I have with my children. I love being around them; I love laughing with them and cutting up with them and talking with them. But in addition to all of this, I have to always keep in mind that I’m called to fill a unique role in their lives. For a brief period of time, I’m called to be the voice of leadership in their lives. No pressure, Dad, but according to God, yours is the voice that will most greatly impact their understanding of His voice. Is your leadership a model of Divine leadership? I’ll be the first to admit that I’m not an All-Star Dad; far from it. But if we get anything right, it’s when we seek to be intentional in our parenting. Good leaders are intentional. Good leaders have given thought to the vision of the organization — or the organism, as in the case of the family. Good leaders chart a course to lead others to arrive at the goal, the destination. The same is true for parenting. A case needs to be made for greater intentionality for those of us who would take up the holy and awesome task of parenting. This is the kind of leadership our children need and deserve. 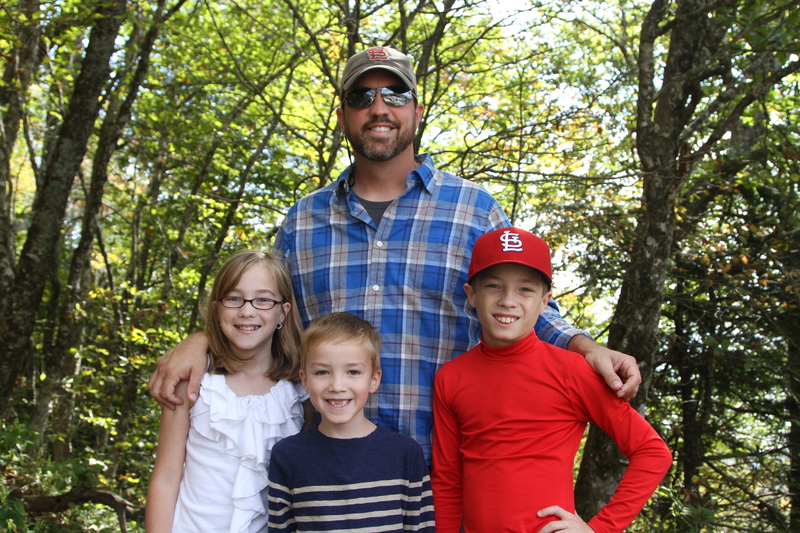 This entry was posted in Family, Fathering, Kids and tagged Intentional leadership, Parenting. Bookmark the permalink.